Mini Telemetry uses proven Nautilus waterproof 9-crystal ultrasound transducers, which are identical to those used with all Corometrics/GE fetal monitoring products. Exceptional signal quality with a line of sight antenna range of 500 meters / 1670 feet. The Mini Telemetry System is compatible with your existing Corometrics* monitors, using the same transducers whether the patient is in bed or mobile. Once you position the transducers on your patient, they can be interchanged with existing Corometrics monitors. 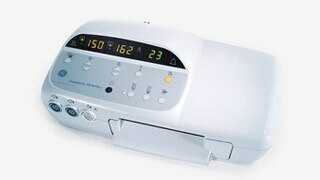 The 3-port design allows fetal heart rate, uterine activity and ECG monitoring modes, providing the flexibility to use telemetry in multiple monitoring situations. 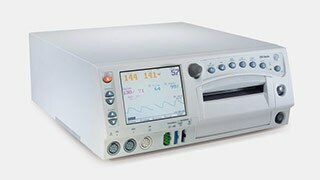 Supports twin monitoring through use of ultrasound and FECG.